Vehicle Photography - Griot's Ferrari | Studio 3, Inc. 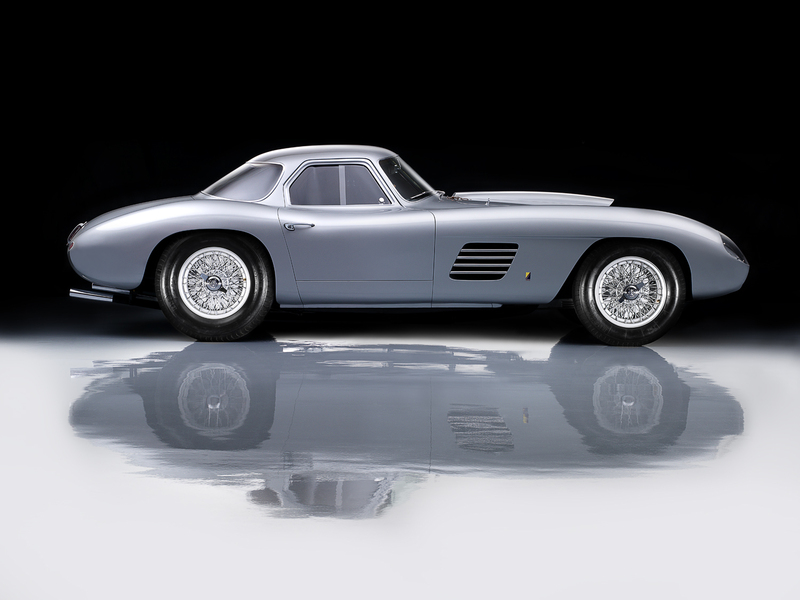 The 1954 Ferrari 375 MM Scagliette Coupe featured above has a rich history and an amazing story…and is a one-of-a-kind custom car that any car enthusiast would go wild over. This legendary car was originally built for Ingrid Bergman in “Ingrid Grey” with a lipstick red interior, and took Best of Show in 3 different Ferrari events in the United States, including Best of Show at Pebble Beach Concours d’Elegance in 2014. Shot by Studio 3 legend David Bell, this car was destined to be featured in the latest catalog for long-time client Griot’s Garage. Griot’s Garage manufactures the world’s finest car care products for any and all vehicles out there – including, of course, one-of-a-kind Ferraris. Although the Griot’s customer may not be in possession of a Scagliette Coupe like the one above, they are discerning when it comes to car care and garage products. Griot’s Garage products will make any car look like a million bucks (or a multi-million bucks, in the Scaglietti’s case)…and Studio 3’s product and vehicle photography captures that aspirational lifestyle effortlessly. Shot at the Griot’s facility, this photo highlights the Industrial Non-Lifting Floor Paint for garage floors that Griot’s produces, as well as the polishes, waxes, and compounds that were lavished on the car to showcase it in its best light. Although he has shot this particular car for Griot’s Garage a few times before, this shoot presented a particular challenge to David due to the length of the car. David wanted to highlight the Ferrari’s sleek, powerful, and undulating lines and so chose to shoot it in profile against a black backdrop. Though he had a 20′-wide sail, it wasn’t quite wide enough to accommodate the entire vehicle on set, and so the final image had to be composited from 8 different exposures layered together to encompass the full width of the car. It was an awesome challenge to fit the whole profile of the car into one single image. He endeavored to make the car’s stunning lines stand out and enhance the shape of this iconic vehicle, as well as highlight the stellar finish that showcased the Griot’s wax products. This gorgeous aspirational image seen on the front of the Griot’s catalog would entice any car enthusiast to open the catalog and browse for products to make their vehicles look just as stellar. “It’s just about making their cars look interesting, fun, exciting, and gorgeous,” said David. Thanks, Griot’s, for 20 years of business! Just like that uber-sleek Ferrari, Studio 3 has a rich history and amazing story behind it. We’re still shooting top-of-the-line product and catalog shots that wow our clients each and every time. Artisan photography for a true piece of art, quick turnaround, challenging shoots, elaborate staging…we can do it all and then some – and make the product the star of the show each and every time. Why not give us a ring and have us turn your photography into a sleek, one-of-a-kind, done deal? Vehicle Photography that will Inspire an Adventure!